I have wanted it for a while, but could not make it fit in my small house. But, because I lie awake at night thinking about where I can put furniture or move what where, I found the perfect spot. The wood and beautiful hand carving alone are worth having it out to enjoy. And since it does still play, and you get a workout at the same time. I have started getting things ready for Christmas as I will start decorating late Thursday after the turkey is put away. I already cleared away the fall things so I have a blank slate to start with. Last year I loved this little hemlock that my dad helped me get so much, I decided to go the same route this year. I already dug some smaller ones for pots. While out with my dad last year, I set my sights on this scraggly tree, hoping it would stay disease free until this Christmas. 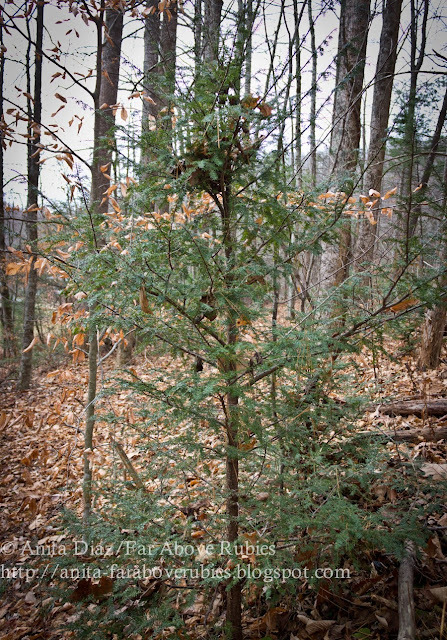 (All the Hemlock trees are being slowly killed by the woolly adelgid parasite.) I'm happy to report it is healthy and we will be digging it up to bring inside. 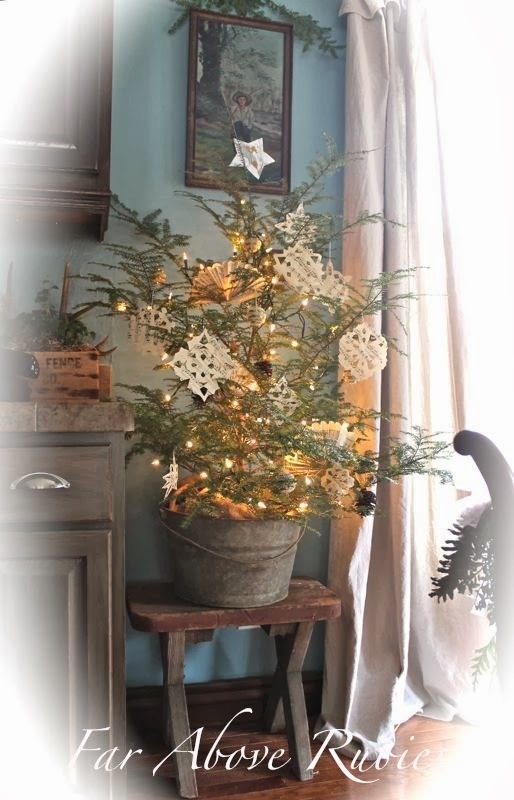 I have dreamed about this tree all year:-) Strands of popcorn, great grandmother's glass beads, icicles, 1950s Shiny Brites and snowflakes made by the children will adorn this very simple tree. One of my readers on facebook put it so beautifully into words, "It is an honest tree, pruned by circumstances provided by its Creator, not with an appearance of conformity, but beautiful because of its struggle." There is just something about that I am embracing this Christmas season. I love your simple tree and am hoping to find one myself. 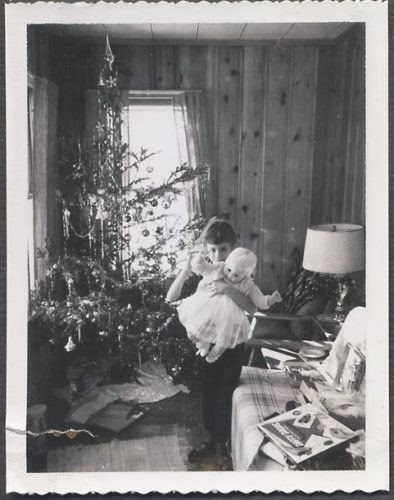 We will be home for Christmas for the first time since 2002 and will be cutting down our tree this year. Our little cottage requires small so a scraggly tree seems perfect. Well put! I have a tree similar to yours. I never thought of digging it up. So Beautiful! I love what your reader wrote. Wouldn't it be wonderful to say that about ourselves? I'm really looking forward to seeing your sweet home all decked out for the holidays. I hope you have a wonderful Thanksgiving! Truly beautiful. 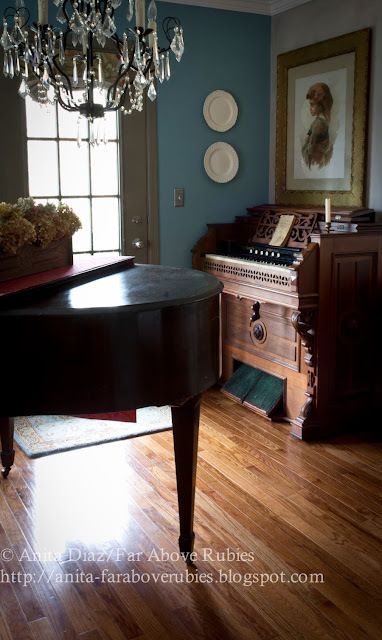 From the scraggly tree to the heirloom organ (they don't make them like that anymore). Your house is certainly a warm home. Happy Thanksgiving. Beautiful post! 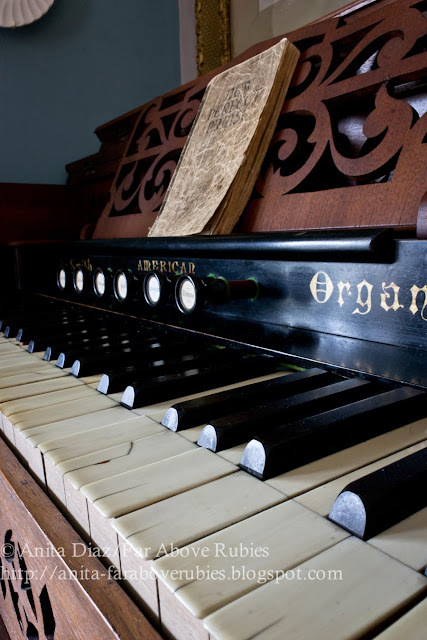 I love your antique organ. I have one but it no longer plays because the bellows leak air. I must get it repaired. I absolutely love your hemlock trees! 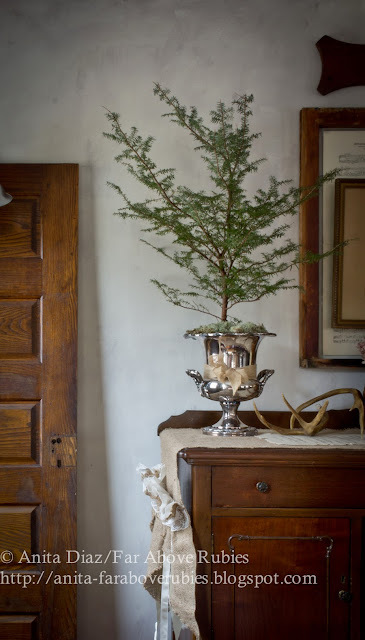 Your Christmas décor sounds so undefiled by commercialism! What a breath of fresh air! I love the little trees......the hemlock is beautiful. Your 'new' organ is gorgeous! I've wanted one for ever so long but I have no place in my small ranch-home. I've played on these old organs through the years. 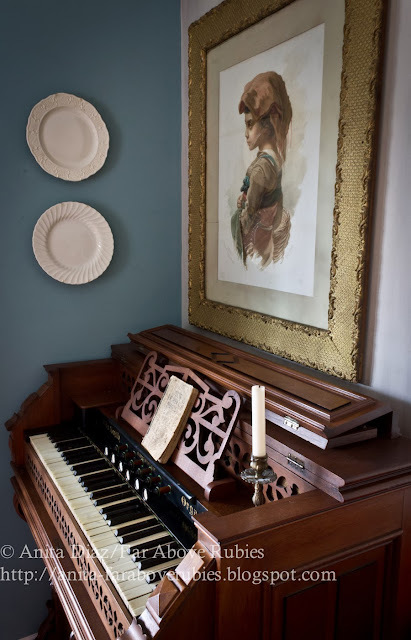 When I first learned to play I played an old pump organ in the basement of the church where my father was pastor every Sunday morning for Sunday School. My little legs pumped and pumped and my fingers played while my heart sang! As an adult I've played a couple of these beauties for weddings in vintage churches. I'd love to sit on your porch and listen to your children play! Your tree is going to be a work of art - a thing of beauty from the hands of the Father. 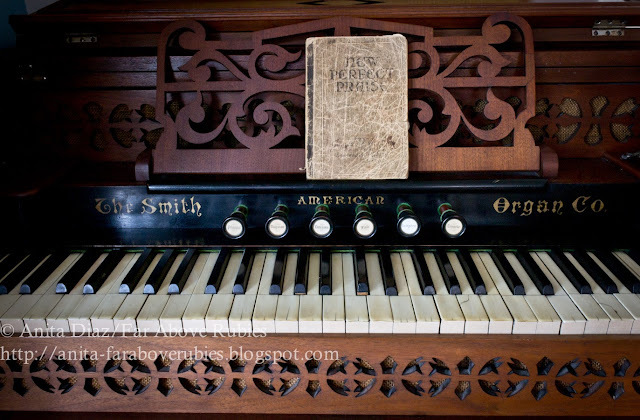 Beautiful organ! My parents had a pump organ, not a family piece, but something they bought. I was so sad when I went home one time and found they had given it away to someone else!